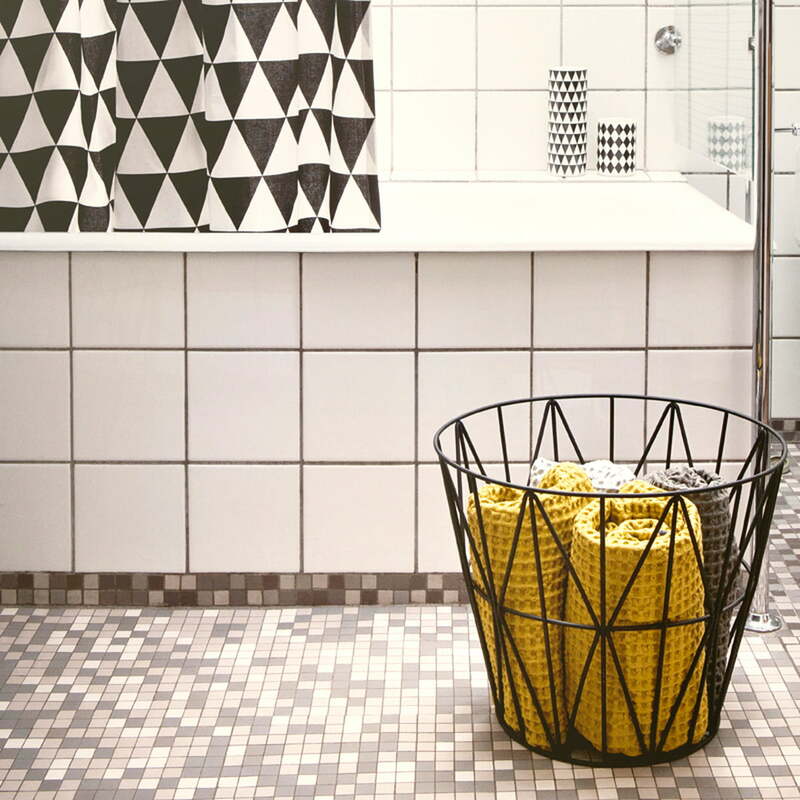 The ferm Living Wire Basket is versatile, it can be used for many different purposes: As storage basket for laundry, toys, small things or simply as paper bin. 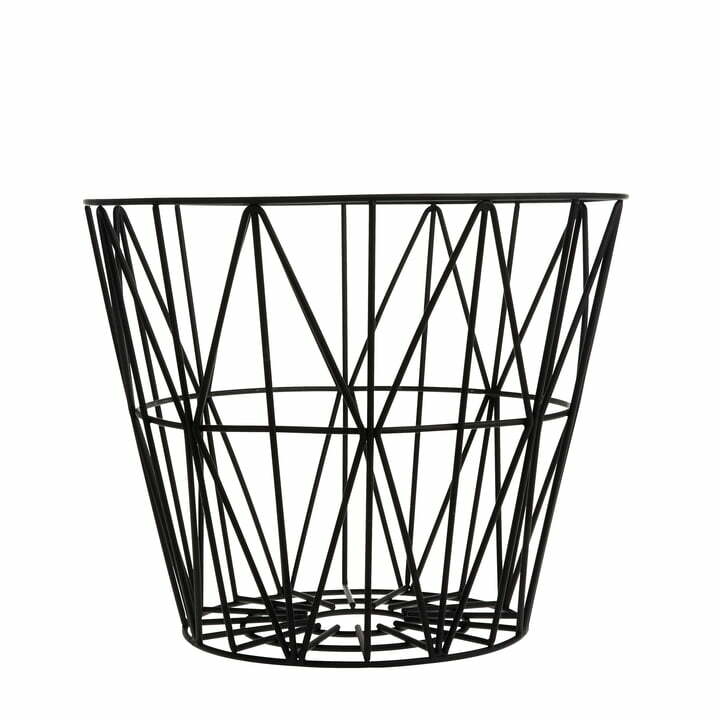 The clear, geometric forms distinguish this basket from others, without being boring. 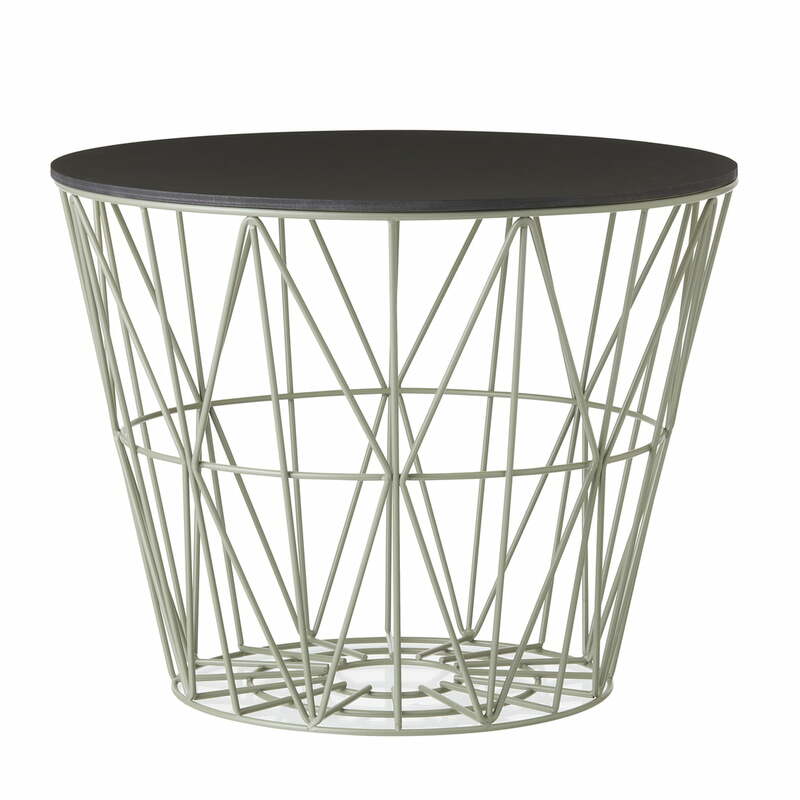 The practical basket’s design is reduced, so that is fits in every home without any problems. 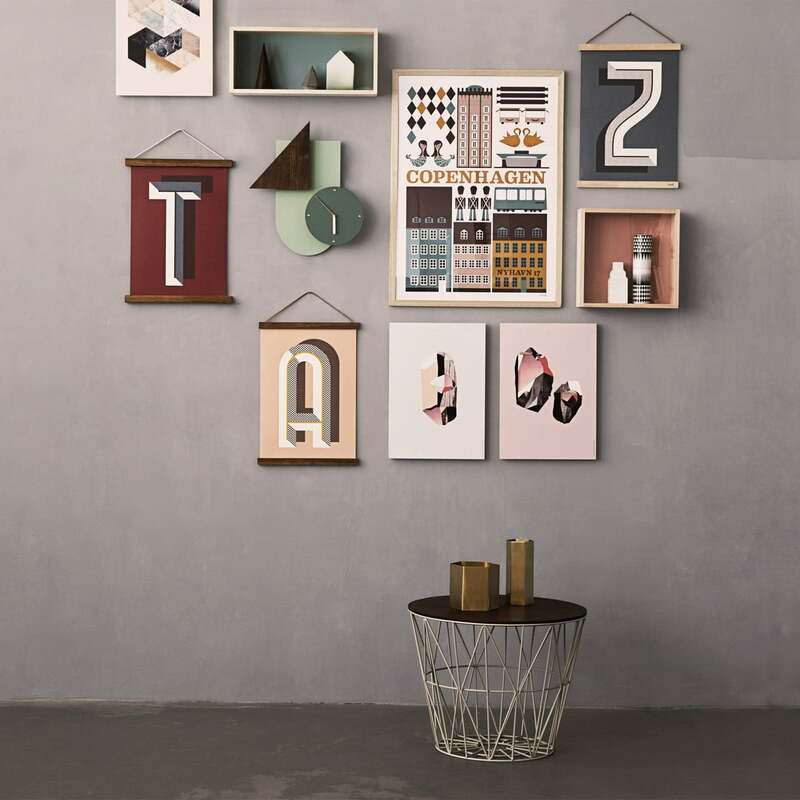 The design is unobtrusive but exciting. 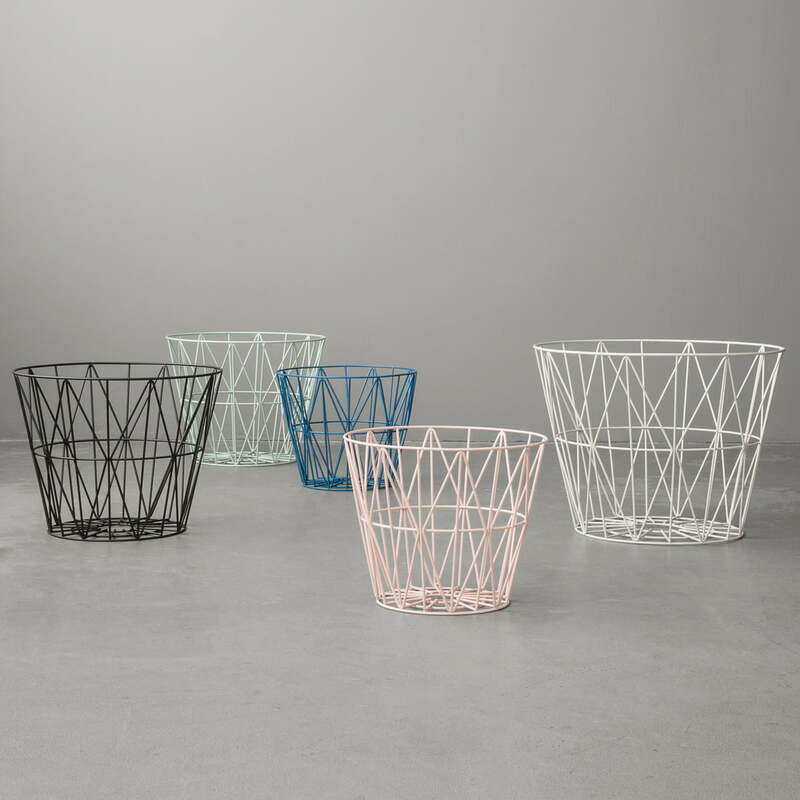 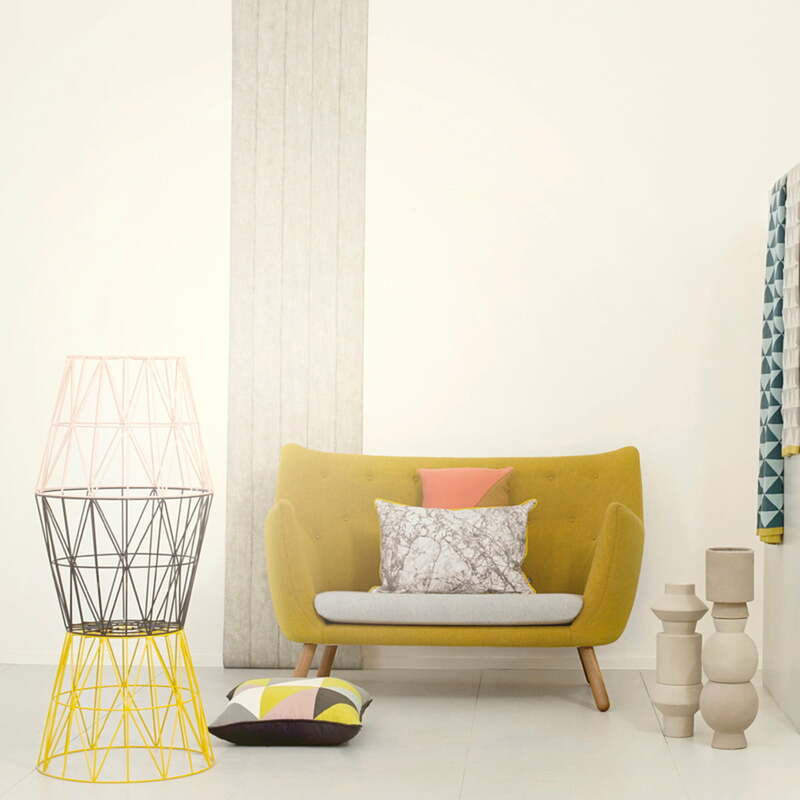 ferm Living produces the Wire Basket out of powder coated iron. 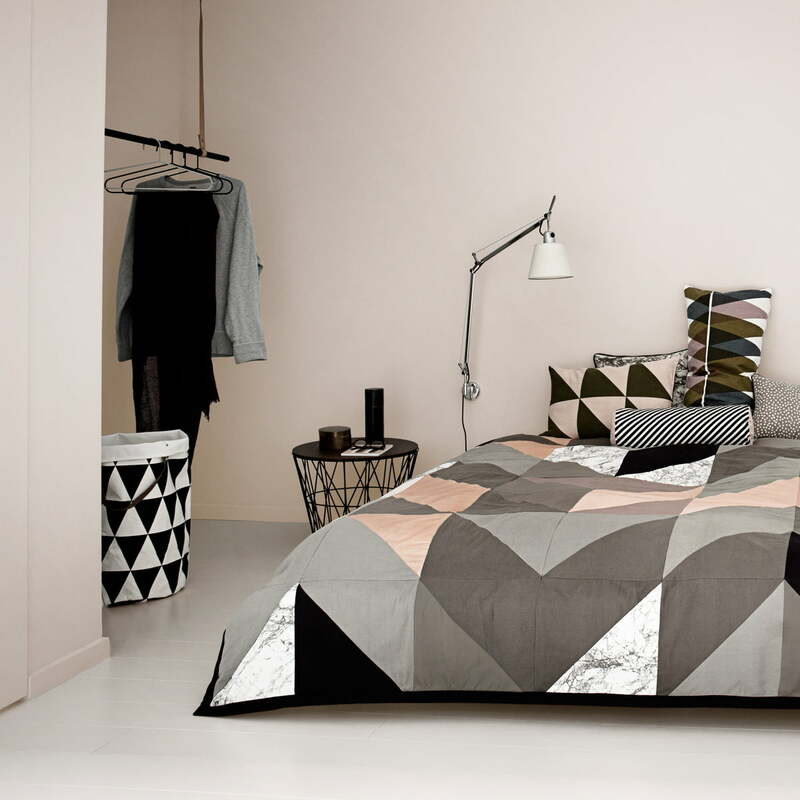 The material ensures long lasting, easy care and easy cleaning. 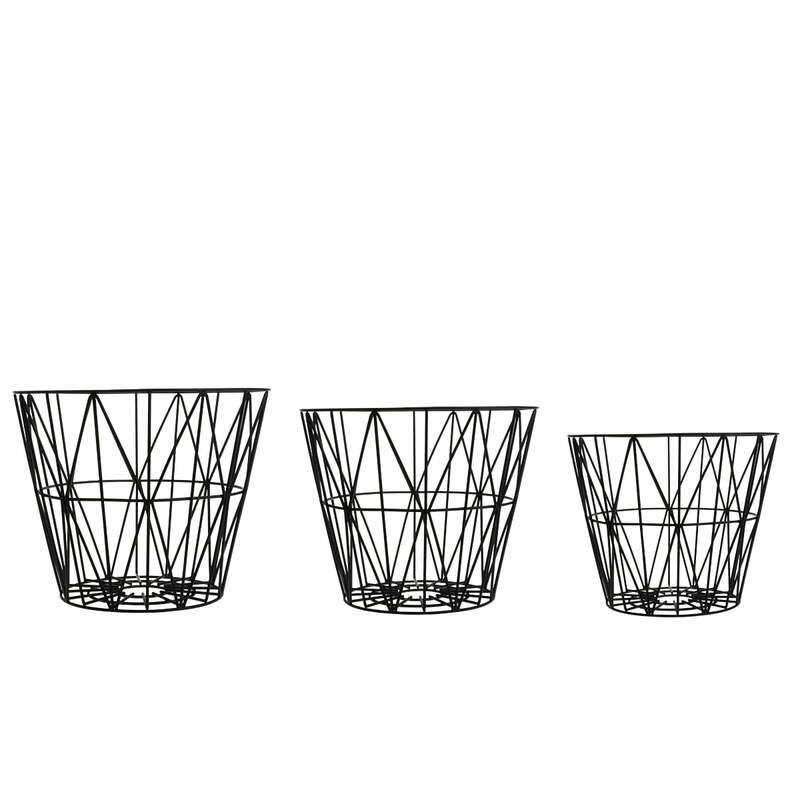 The Wire Basket Tops fit these baskets, available in different sizes and made of different types of wood. 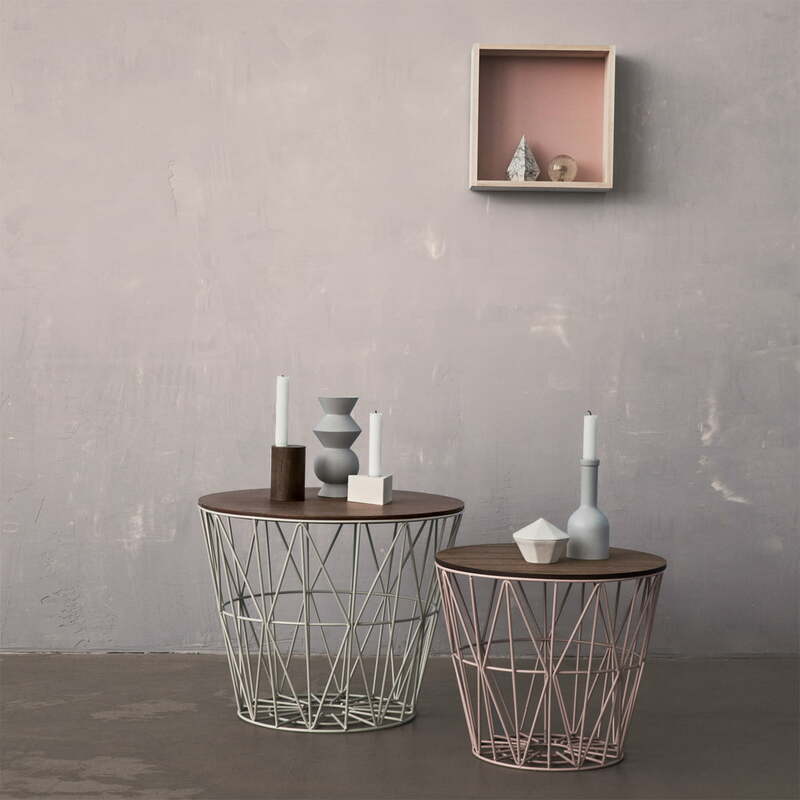 This is how the Wire Basket by ferm Living becomes a practical couch or side table in an instant. 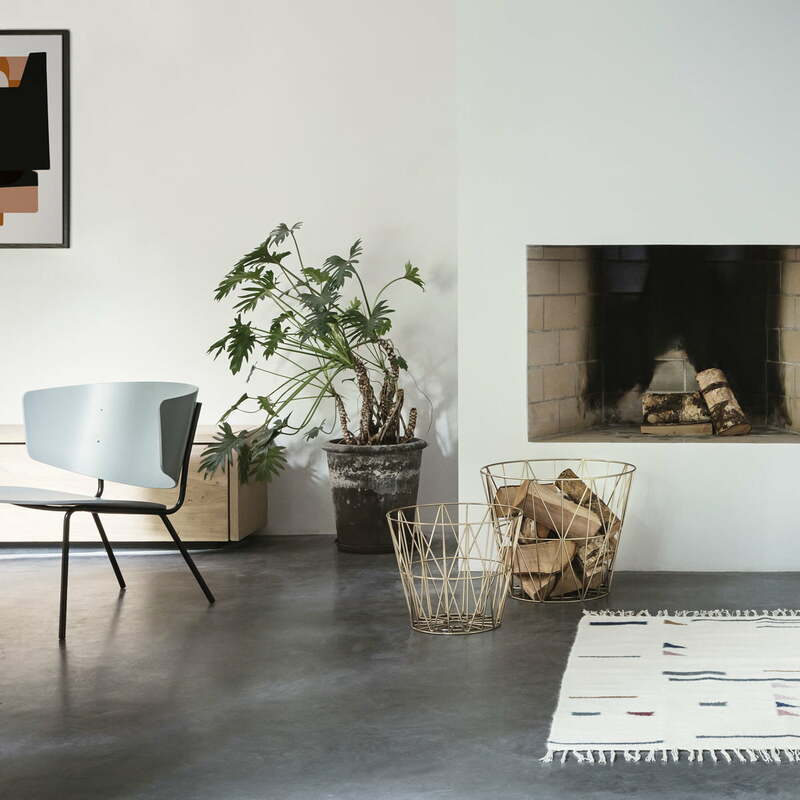 The Herman Lounge Chair by Herman Studio for ferm Living from the same name collection in light grey matches the Wire Basket by ferm Living in large, medium or small perfectly. 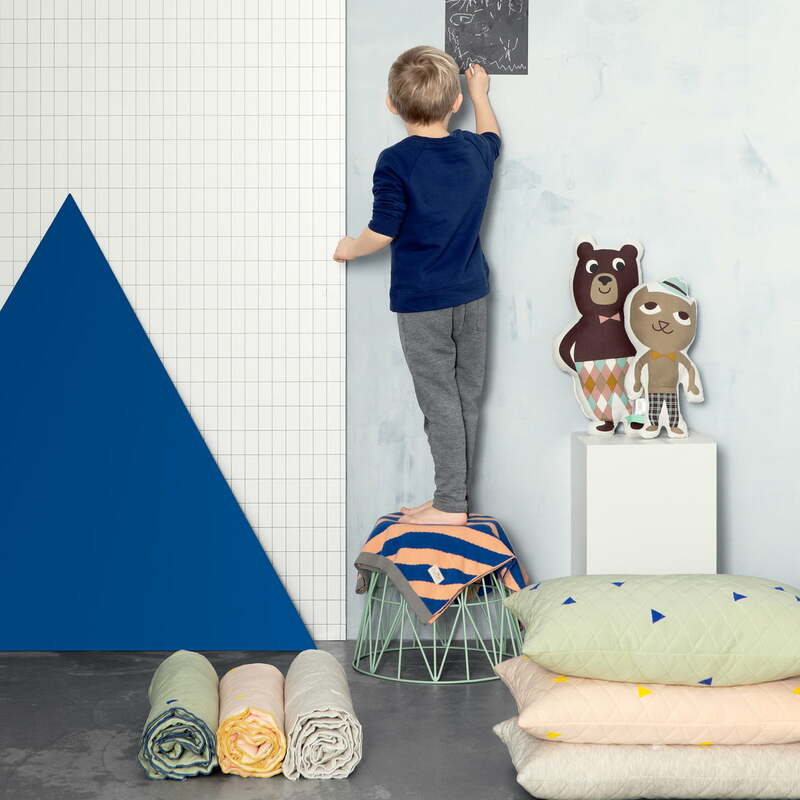 All products from ferm Living, such as the Cloth rack, the Striped and Twin Triangle cushions, the Wire basket with Top and the Triangle basket make a harmonious picture. 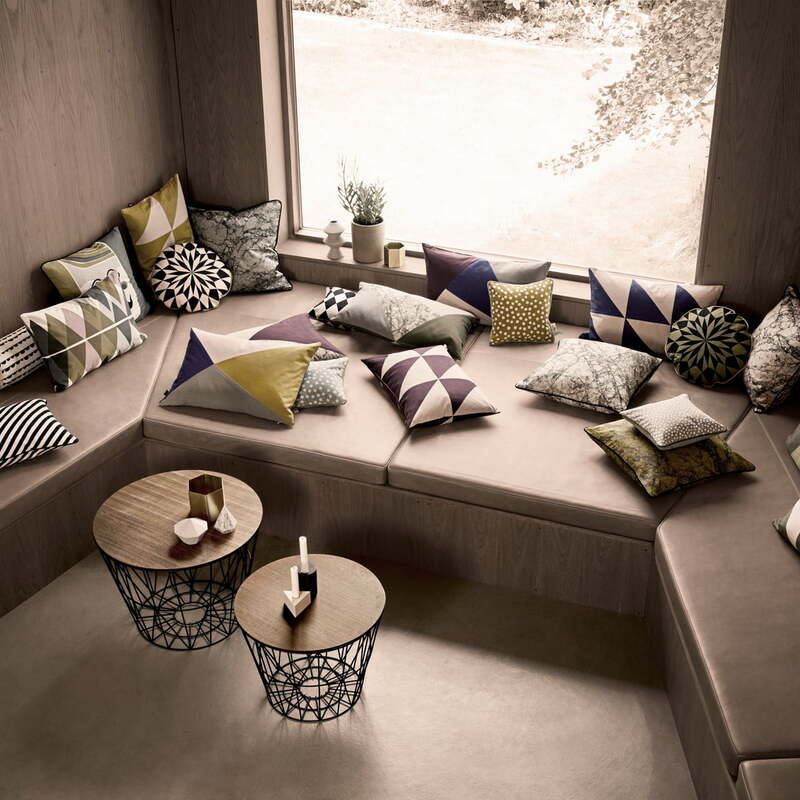 The Marble, Twin Triangle and Striped Cushions create a comfortable and inviting sitting area. 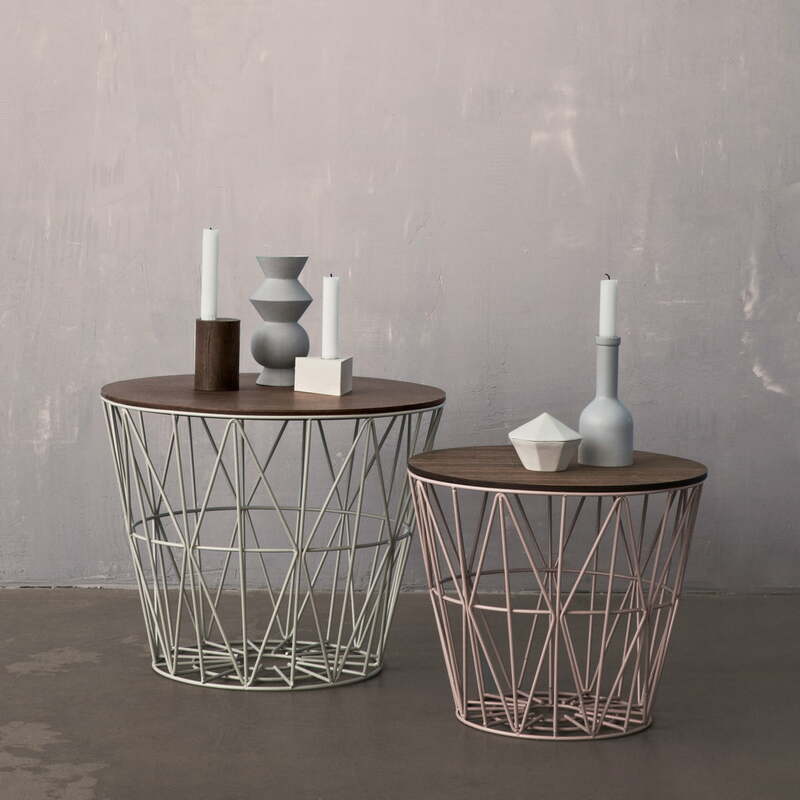 The Wire Basket, which can be transformed into a table using the lid, is the ideal side table. 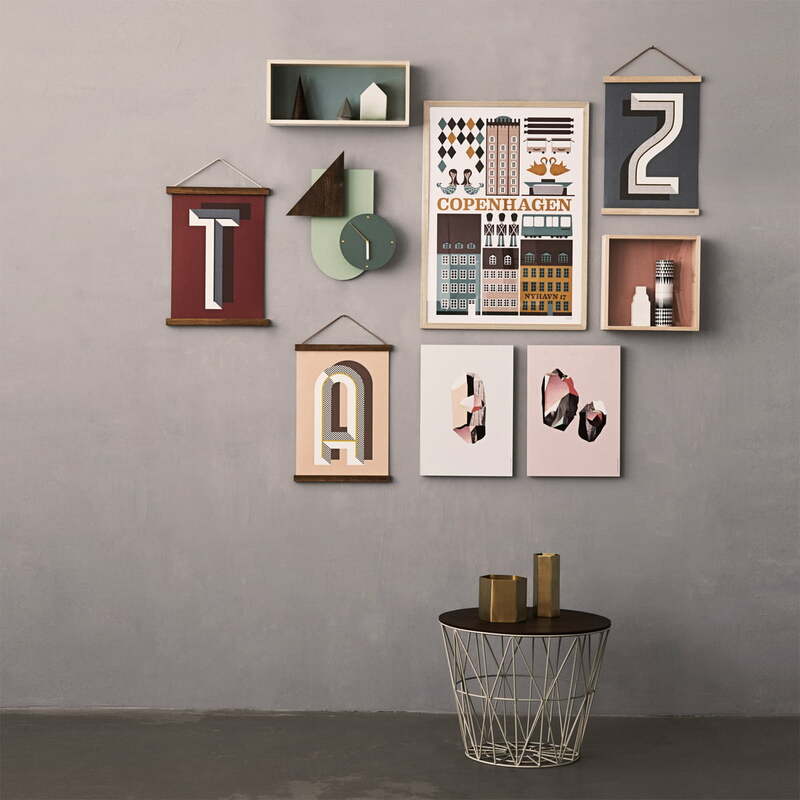 The Wooden Frames together with the Wall Wonder clock embellish any wall and create memories. 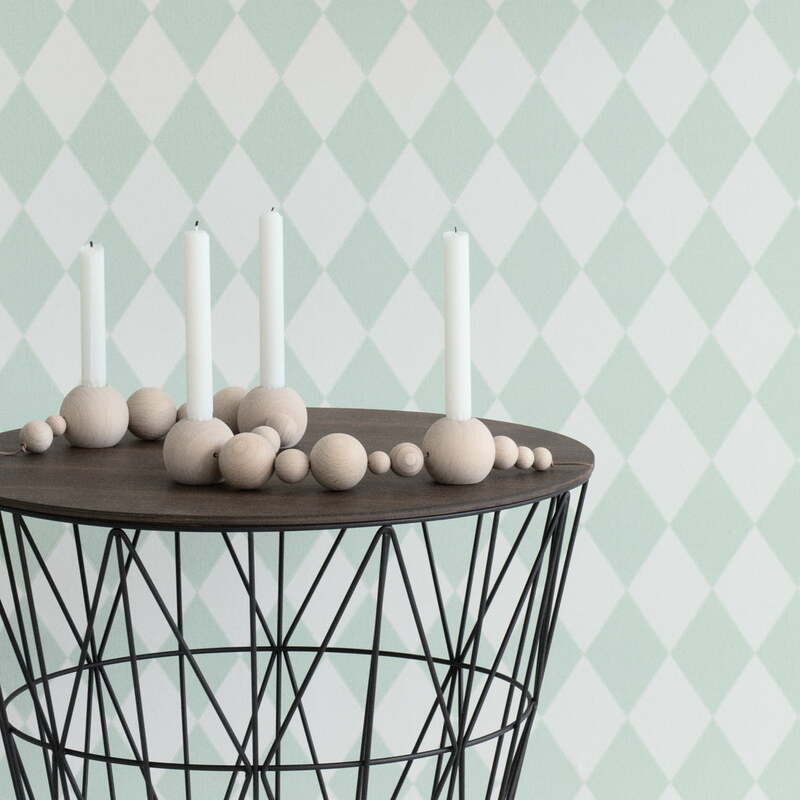 The Wire Basket with Top by ferm Living is a great additional feature.